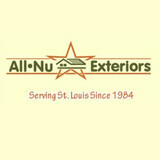 ALL-NU Exteriors is an award winning home improvement company servicing the entire St. Louis Metropolitan area. (St. Louis City & County, St. Charles, Jefferson and Franklin Counties in Missouri, and Madison, St. Clair and Monroe Counties in Illinois.) ALL-NU Exteriors was established in 1984 specializing in Siding, Replacement Windows, Roofing & Wood and Composite Decks. For the past 25 years, Nick and Linda Dover and the ALL-NU Exteriors organization have transformed the beauty and quality of homes in the St. Louis Metro Area. We are dedicated to customer satisfaction and strive to exceed our customers expectations! We attribute our success to our belief that good businesses are built on good relationships, honesty, integrity and quality workmanship. Our company is proud of our reputation for customer service, and stand by our pledge to ensure 100% customer satisfaction. Titan Siding We carry what is arguably the best vinyl siding on the market: EnviroWall Insulated Siding, which features: 0.046" premium panel thickness At least five times the normal impact resistance as compared to hollow back siding An industry-high 1½" thick insulation can help reduce your utility costs year round Secure interlocking panel design gives you a tight fit with no gaps EnviroWall’s superior vinyl surface tightly repels water while still allowing the insulation layer underneath to breathe Extended panel design creates the look of natural wood without the need for face nailing or caulking. Titan Windows We offer the best vinyl replacement window option on the market: EnviroView Energy-Efficient Windows. These proprietary EnviroView windows are engineered to last, with heavy-duty weatherstripping, sash reinforcement, and fusion-welded frames. 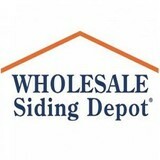 Some are even designed to meet strict 2015 ENERGY STAR® requirements, and the company’s Activator insulated glass option makes for a great add-on package, as it allows you to customize your windows not only for your home’s unique appearance, but for your specific climate as well.